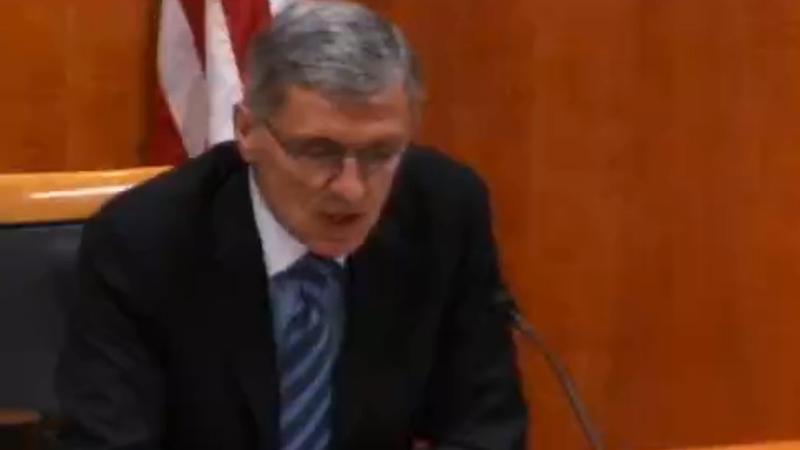 FCC Chairman Tom Wheeler, speaking at the FCC open meeting on January 29, 2015. As expected, the FCC voted this morning to approve a new standard for defining what qualifies as broadband internet. The new standard officially requires a minimum download speed of 25 Mbps, an enormous increase from the previous minimum standard of 4 Mbps. The new broadband definition came as part of a 3-2 vote to accept the findings of an annual report on the state of broadband adoption in the US. The presenters delivering report explained that Congress defines advanced telecommunications capability as “enough broadband to originate and receive high quality voice, data, graphics, and video.” In 2010, the FCC determined that 4/1 was sufficient to meet that standard. But the tools change. Given that new standard, the report finds negatively that broadband expansion and coverage are not at all where they need to be, and that the FCC needs to do more to get Americans connected. Commissioners Mignon Clyburn and Jessica Rosenworcel spoke warmly about the higher standard, both looking to the rapid growth of internet-connected devices and services. Of course, that might have something to do with the number of homes served only by DSL or satellite, where speeds over 10 Mbps are hard to come by, or the fact that cable packages with speeds of 25 Mbps or higher are expensive. It also disregards the chicken and egg problem, where consumers who don’t have access to reliable, high-speed connections aren’t going to pursue activities like trying to watch 4K programming on Netflix while also background downloading a 25 GB game onto their gaming console. Chairman Wheeler spoke last, directly calling out the discrepancy between telecom’s lobbying and advertising. “Somebody is telling us one thing and telling consumers another,” Wheeler said of Comcast, Verizon, AT&T, and Time Warner Cable. Verizon’s own marketing materials, meanwhile, explain that although FiOS provides great bandwidth, “you’d be surprised how fast it goes,” and specifically says that their 25 Mbps connection “is best for one to three devices at the same time,” but that a family or household with three to five devices in it should go for 50/50 or better. The full 2015 Broadband Progress Report is not yet available online but should be soon.